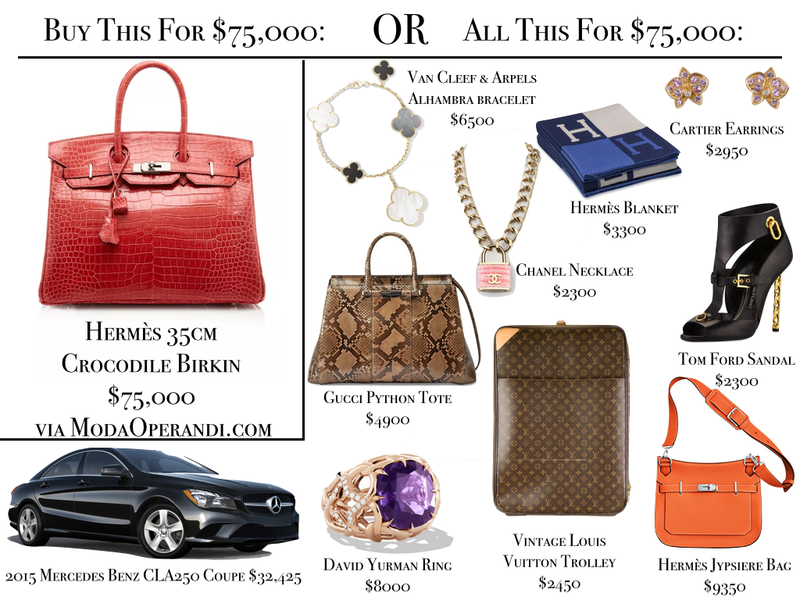 The Price Of An Hermès Birkin: More Than A Car, Luxurious Jewelry, Designer Bags & Shoes Combined. Really. | Gina Miller's Blog - A working mom's blog about fitness, travel, handbags & beauty. These are no ordinary bags. These are the bags that oil billionaires and the wives of Russian oligarchs covet. These bags have their own security guards. Trust me, I've seen them (Four Seasons George V in Paris). One particular $75,000 Birkin is made of Shiny Bougainvillea Porosus Crocodile in "beautiful pink with red undertones". Moda Operandi adds "this combination is extremely hard to find". I have little doubt these will sell because to the insanely wealthy $75,000 is nothing. But....really? If I had all the cash in the world, I still don't think I could plunk down $75,000 for a bag. I would feel like a self-conscious douche carrying it and worried about getting it dirty. Not to mention that I would want a security guard myself. Having said that, I don't begrudge anyone who owns and carries one proudly. More power to ya. That $75,000 price tag got my little head swirling: What other luxury goods could you score for $75,000? Turns out a lot: a Mercedes, some Hermès goodies, a Chanel necklace, a Gucci bag and more. If you bought everything you see in the picture above, you would even have $525 left over for a cocktail to celebrate your swag. To be fair, not every item in the sale is $75,000. You can get a wallet for $4750. For the record, $75,00 is nowhere near close to the highest price ever paid for a bag. Heritage Auctions sold a Birkin in 2011 for $203,150. 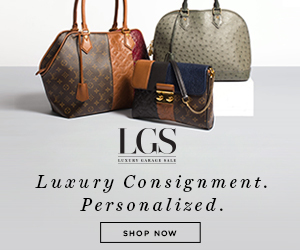 I'm curious: If you had all the money in the world, could you buy a $75,000 bag? What would you buy? Let me know in the comments section.